I’ve always liked dove tail joins and at one time had a collection of old vintage drawers that had them which I saved for some wall hanging boxes with laser cut screens attached to the front. For the record cabinet I was building I wanted to replicate the dove tail look to cap the corners of the carcass without the difficulty of cutting them by hand. Making laser cut templates for each side and cutting them with the router worked well. 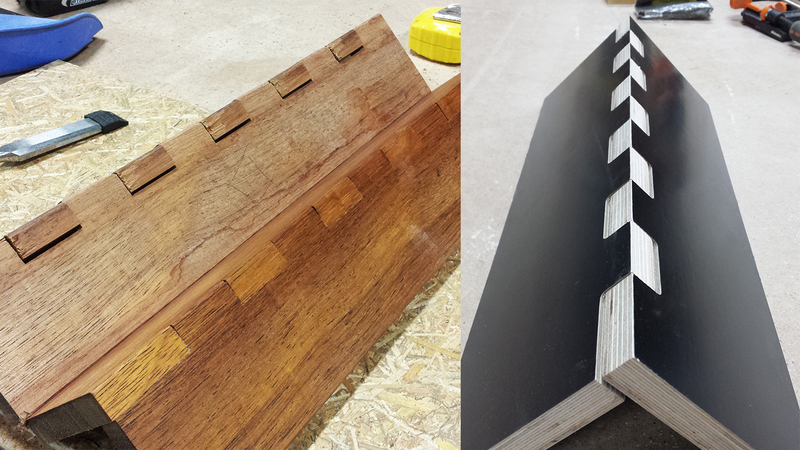 I made a sample using form ply before cutting the merbau.